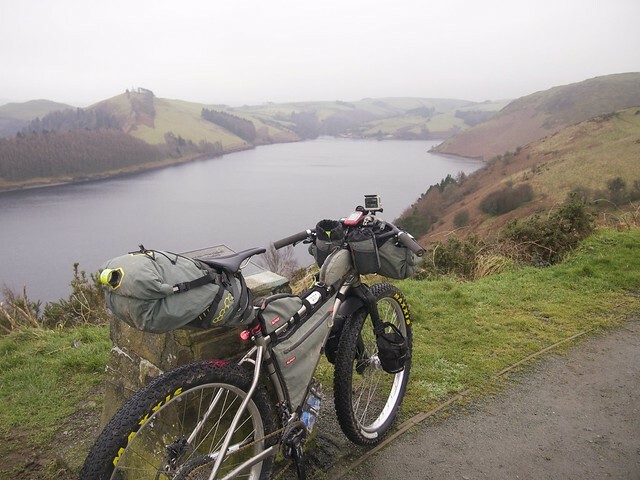 We were back in Mid Wales for the Bear Bones Bikepacking winter event the Cafe Racer. 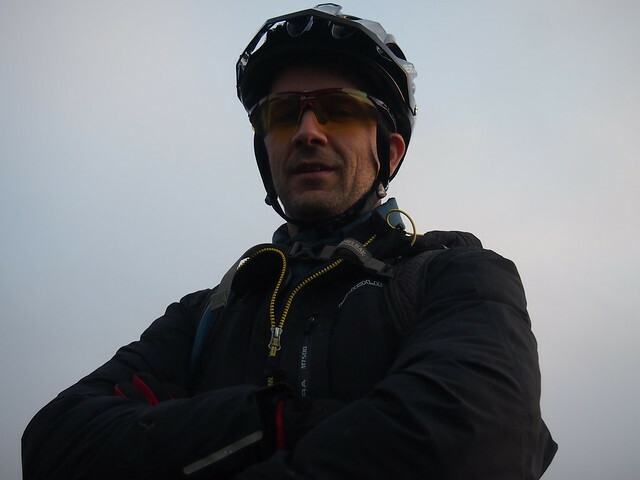 The weather forecast was changing on an almost hourly basis on the lead up, but in the end the forecast was rain for the latter part of Saturday and clear for Sunday. 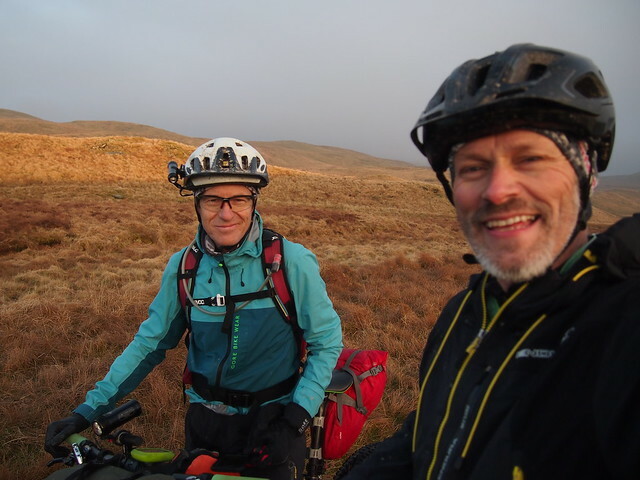 We’d planned to do a 90 mile route, most of the first day was on quiet lanes, with the final part to the bothy off road, round the Claerwen reservoir and through a beautiful remote valley. 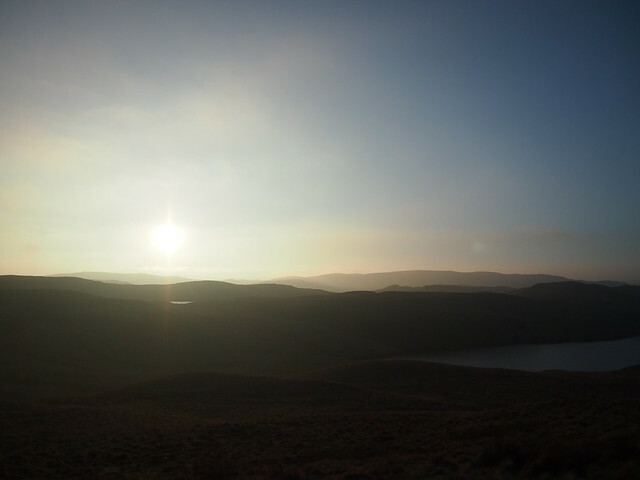 The second day was due to be predominantly off road as there was no road route back up as far as Hafren. Unusually for us we distinguished ourselves by being the first to get to the cafe and it really wasn’t before time. 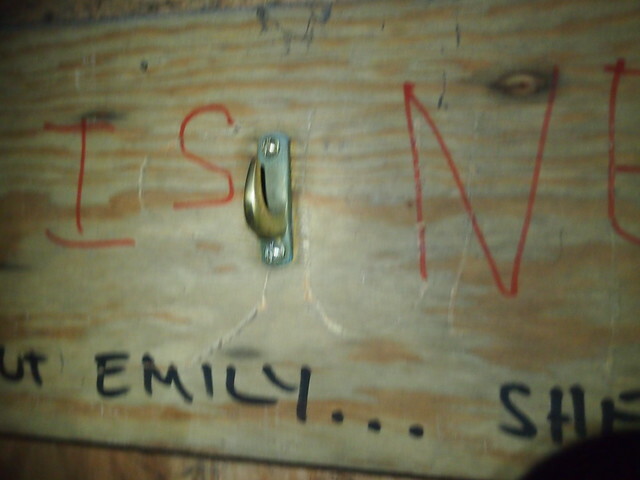 We were hanging! Well the sausage bap and carrot cake I had was the most heavenly I’ve tasted for a long time!! 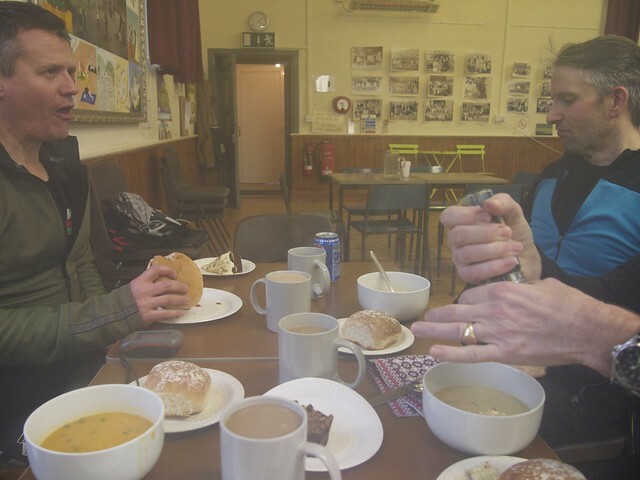 Fuelled up, spirits once again were restored and after a discussion with the cake crew about the section of trail we were planning on going on to next we decided that we would bypass it and take the longer road route through to Rhayader. 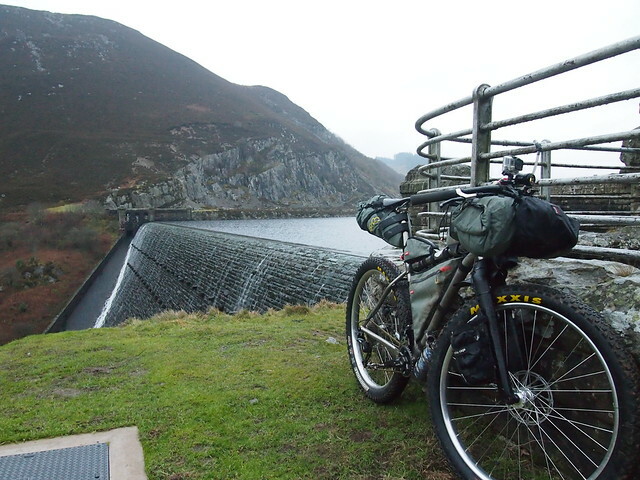 As we stopped to top up water at the visitor centre of the Caban-coch reservoir it started to rain. 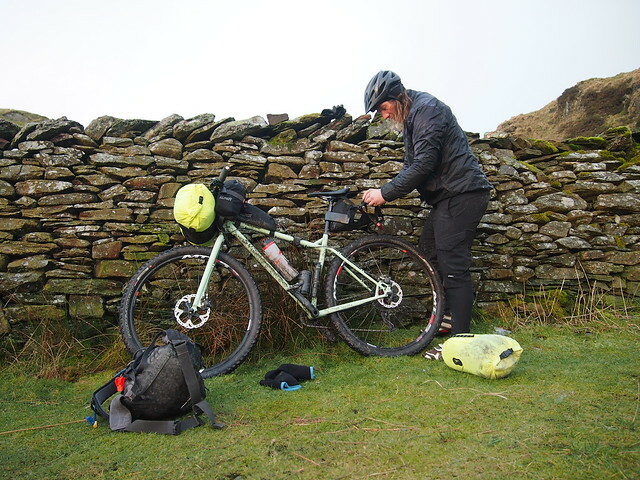 Fortunately it wasn’t the usual Welsh Rain, but just a light spattering. 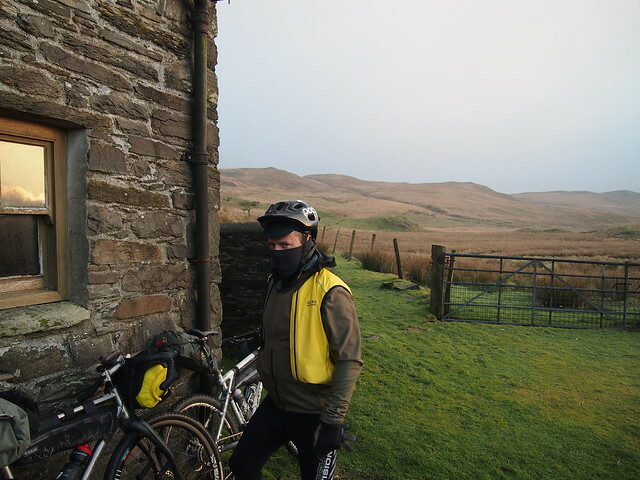 We kept on pedaling, all feeling pretty battered and were glad when we got to the end of Claerwen. I’ve been that way once before and when I got to the bridge I was relieved as I knew it wouldn’t be much longer. 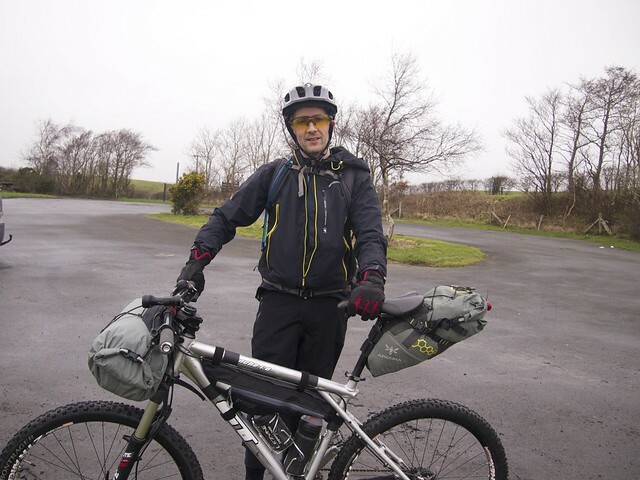 Someone we’d talked to earlier had said “I know where you’re going and a Land Rover club will be staying there tonight”. 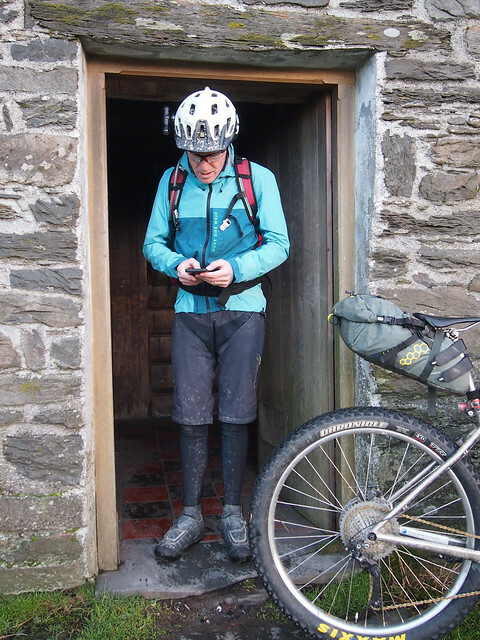 So we were rather relieved when we got to the end of the path, rounded the corner and there were no signs of life in the bothy. We made like the Germans with their beach towels and quickly made claim to our beds for the night before retiring downstairs to get the fire going and cook some food. 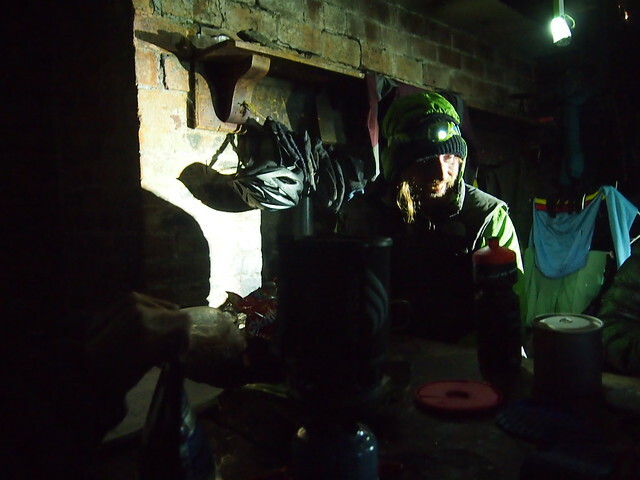 As usual there was a fair amount of unrepeatable bothy talk, but the day had taken it’s toll and we all turned in at ten! 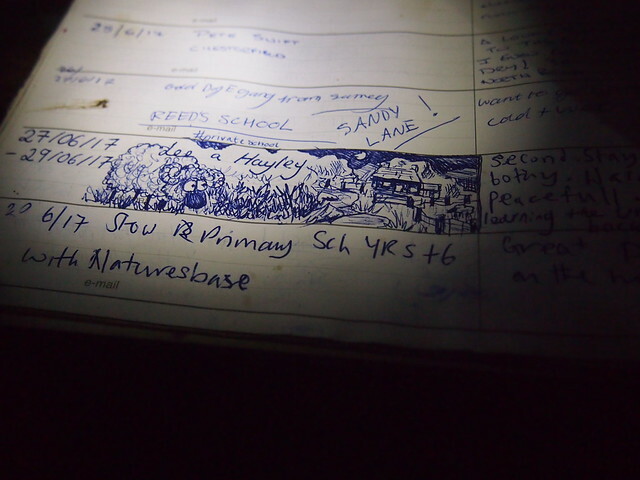 Some good visitor book art! 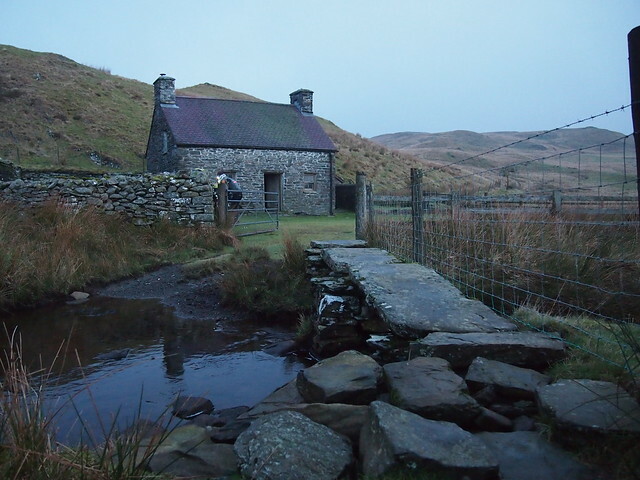 I thought Stephen Pern had only put hooks in the MBA bothies, but it looked liked he must have visited them all. 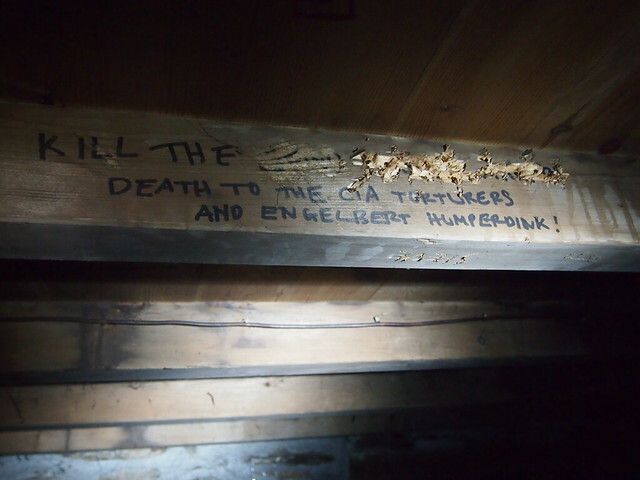 Claerddu bothy distinguishes itself by the highly amusing graffiti which covers every available surface….. Morning broke and we found two others had come in during the night. 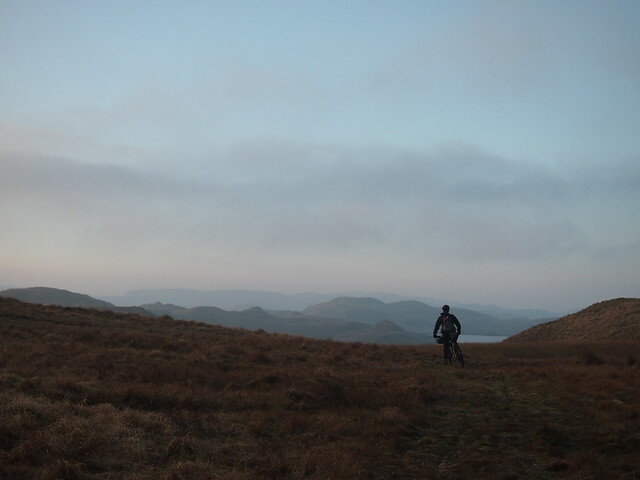 Those who hadn’t been here before were amazed at the setting when they finally got outside and had a look round, it is a truly beautiful place. As we rode away the sun finally started to peek out from behind the clouds and we were treated to a spectacular morning. 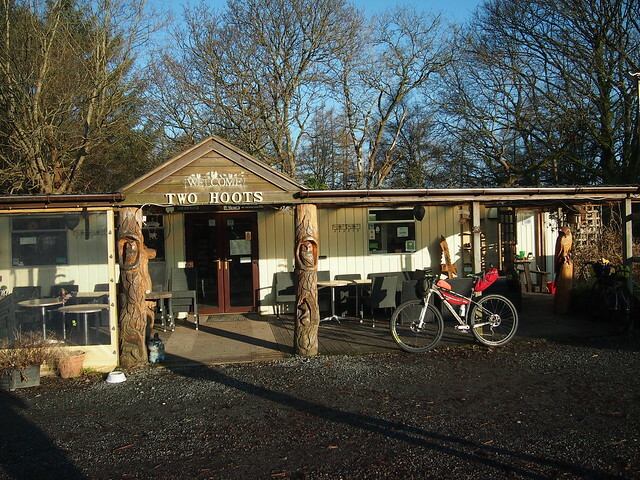 We had some ground to cover as John had arranged us breakfast at the awesome Two Hoots cafe in Devil’s Bridge. 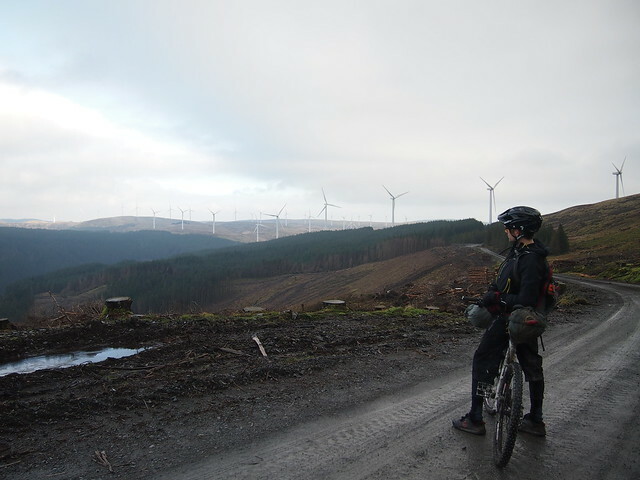 For one reason or another every Bear Bones event I have done I’ve never quite made it up to ride through the wind farms, this was about to change though, out of Devil’s Bridge started a climb that lasted about four miles, somewhat less than the ones in Canada and Montana, but still a hefty pull none the less. 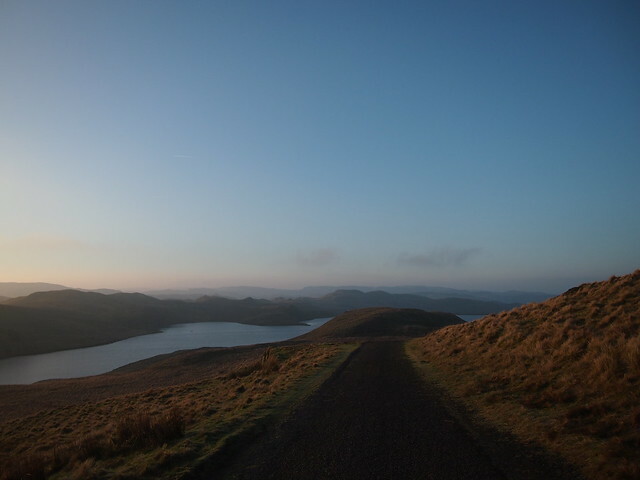 The four mile climb was followed by only a two mile descent! 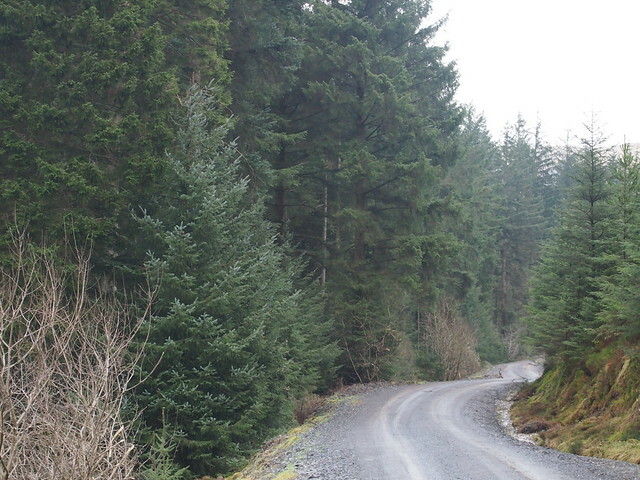 We crossed the road and headed up another long, but easier climb through the Sweet Lamb rally complex and over the top to Hafren Forest. It was great to get back to the tarmac and all that was left was to run the annual no pedaling race from the top of the hill to the Pennant sign. As usual this was very competitive, except for the fact that John had brought a gravel bike so was off like a rocket! 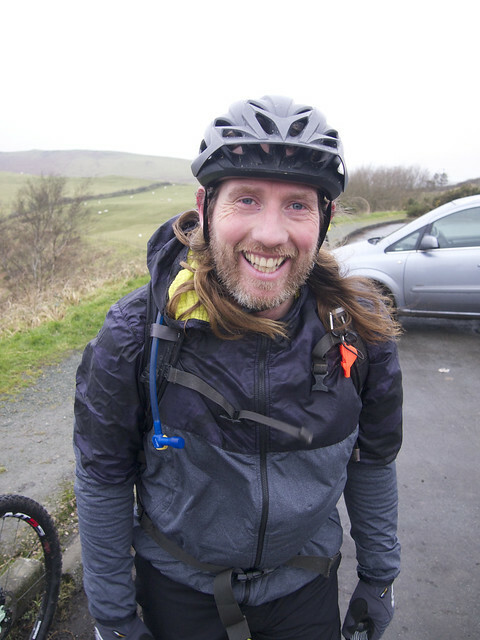 Second and third were far closer though with Simon pipping me into third by half a bike length, grrr! 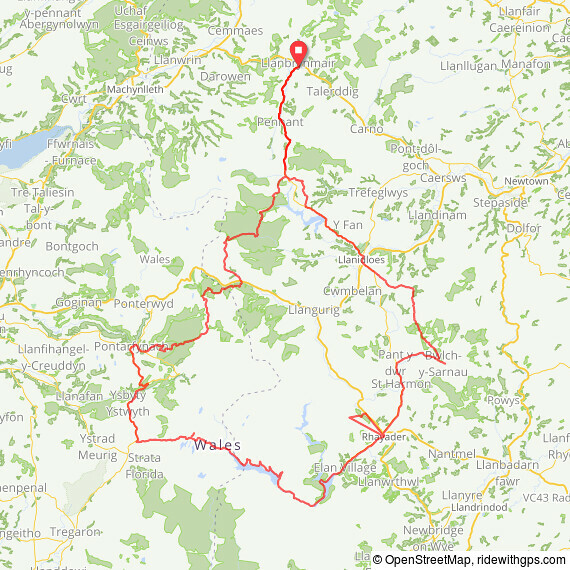 So all in all we had a great weekend, rode probably the furthest we have yet on a WRT and enjoyed some great weather. 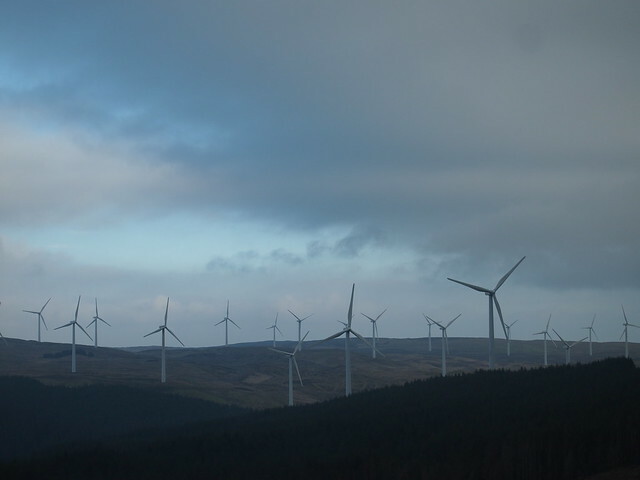 I hope you enjoy the video…..